The gentle, gradual effects of natural remedies can be perfect during pregnancy. Here'’s what'’s safe and what'’s not. medicine” (CAM) for what ails them. The problem is, “natural” doesn’t always equal effective or safe. The following information on six of the most common therapies is, by necessity, general. Before using any alternative treatment, check with your physician. What it is Stimulation of a variety of points in the body using fine needles to bring the flow of the body’s energy, or chi (also spelled qi), into harmony. What it’s good for The National Institutes of Health found evidence that acupuncture eases nausea and vomiting. It also seems to be safe and effective for back and pelvic pain, edema (swelling) and pain relief during labor. Safety issues Stimulation of certain points, such as the large intestine and spleen, should absolutely be avoided during pregnancy, as it could bring on labor. How to find a practitioner Choose a certified practitioner with an L.Ac., R.A.C., A.P. or D.O.M. credential and experience treating pregnant women. The Acupuncture and Oriental Medicine Alliance, 253-851-6896, www.acupuncturealliance.org. What it is The use of pure essential oils (for topical application, i.e., massage, bathing, foot baths or inhalation) for their healing and therapeutic properties. What it’s good for For nausea: ginger, sweet orange, peppermint. For edema: lavender. To induce slumber: lavender, sweet orange, roman chamomile. To elevate mood: lemon, grapefruit, petitgrain. Safety issues Many oils, including clary sage, fennel, juniper, melissa (the botanical name for lemon balm, which is different from lemon essential oil), myrrh and Virginian cedarwood should not be used during pregnancy. 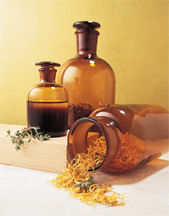 Consult a professional aromatherapist before using essential oils. Even “safe” oils can cause skin irritation or allergy, so test them in small amounts first; one or two drops of oil for any use is best. How to find a practitioner Choose a registered aromatherapist (R.A.) or someone certified with advanced training in aromatherapy. The National Association for Holistic Aromatherapy, 509-325-3419, www.naha.org. What it is Manipulation of joints (especially those in the spine) and adjacent tissues to relax muscles and alleviate pain. What it’s good for Lower-back pain brought on by weight gain and during late pregnancy, when the baby’s head presses on the back, irritating the sciatic nerve. Safety issues Chiropractic is best for musculoskeletal issues; use other therapies for ailments such as nausea, etc. Your chiropractor should use a table that adjusts to your pregnant body and techniques that avoid abdominal pressure. Call ahead to make sure these options are available. How to find a practitioner Choose a licensed doctor of chiropractic (D.C.) with extensive experience treating pregnant women. The American Chiropractic Association, 800-986-4636, www.acatoday.com. What it is Use of fresh or dried plant materials. What it’s good for For nausea: ginger, peppermint. For colds and flu: echinacea. For calming: chamomile. Safety issues Research on other herbs is lacking. Particularly avoid goldenseal and blue or black cohosh, which affect the uterus. How to find a practitioner Choose a professional herbalist with an A.H.G. credential from the American Herbalists Guild, or another health practitioner knowledgeable about herbal medicine, such as a naturopath. The American Association of Naturopathic Physicians, 866-538-2267, www.naturopathic.org. The American Herbalists Guild, 770-751-6021, www.americanherbalistsguild.com. What it is A natural system of medicine based on the “law of similars”: a substance that in large amounts could cause symptoms can heal you when given in minute homeopathic doses. What it’s good for For nausea: sepia, pulsatilla. For hemorrhoids: hamamelis. For varicose veins: sepia. Safety issues Homeopathic remedies are given in such diluted concentrations that side effects are rare, though occasionally symptoms may surface during treatment. How to find a practitioner There’s no licensing for homeopaths, so look for a medical doctor (M.D. ), naturopathic physician (N.D.) or osteopath (D.O.) who has studied homeopathy. The National Center for Homeopathy, 877-624-0613, www.homeopathic.org. What it is Similar to a typical Swedish-style massage. What it’s good for Back and leg pain and labor preparation. Massage also reduces stress, which lowers cortisol levels; this may reduce the risk of prematurity. Safety issues It should be done when you’re lying on your side. Massaging the ankles can stimulate premature contractions. How to find a practitioner Choose a therapist with national certification and advanced training in prenatal massage. Licensing is done on a state-by-state basis, though not all states offer licensing. The American Massage Therapy Association, 877-905-2700, www.amtamassage.org. Sources: Zita West, midwife, acupuncturist and author, United Kingdom; Kelly Holland Azzaro, certified clinical aromatherapy practitioner, Banner Elk, N.C.; The American Chiropractic Association; Mark Blumenthal, executive director, American Botanical Council; Lauren Feder, M.D., physician and homeopath, Los Angeles; Tiffany Field, Ph.D., director, The Touch Institute, University of Miami School of Medicine; Patricia Aikins Murphy, C.N.M., Dr.P.H., F.A.C.N.M., associate professor, women’s and reproductive health, the University of Utah, College of Nursing, Salt Lake City. >>National Center for Complementary and Alternative Medicine, 888-644-6226, www.nccam.nih.gov. >>University of Illinois at Chicago/National Institutes of Health Center for Botanical Dietary Supplement Research in Women’s Health, 312-996-4960, www.uic.edu/pharmacy/research/diet/.